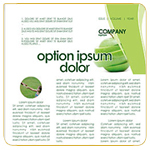 There is significant difference between design and coding process of newsletter. The former requires creative skills and basic knowledge of design processes. Another aspec which is required is HTML & CSS knowledge and experience with different e-mail service providers and their individual representation problems. In short for professional e-mail newsletter campaign you need designing skills as well as coding knowledge. Our designers use a blend of graphic elements, layout, images & colors for a newsletter to make it more appealing, but a rookie designer often uses a design that is loaded with colors and graphic elements. This means that the reader will be distracted from the really important, message you want to put forth, content and images. 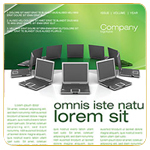 We place large images at the head of the newsletter, as it is an immediate attention for the visitor sight. The right balance and proportion between images and text can be different for each industry. A mall or online shop will certainly accommodate a larger percentage of pixels in the newsletter compared to financial services provider. It is important to know your target audience and what results are expected from your newsletter. General branding should be as constant as possible, regardless of whether it is for online internet marketing, newsletter advertising, email marketing campaign or for print advertising. Logo, colors and corporate ID should be immediately recognizable no matter what is the medium of advertising. 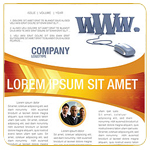 The newsletter template design should never be an exact replica of the website, but it has to have an impression of what is readily accessible through the website and the company. An E-mail marketing is one of the best ways to connect and engage with your clients, generate leads and improve business productivity. 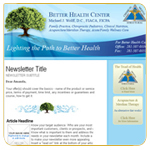 The design of your e-mail newsletter template is a significant part of your image, impression and identity. At Effervescent, our team of experienced designers and artists, design customised e-mail newsletter templates based on your requirements. Knowledgeable in the latest email marketing trends and cutting edge design techniques Effervescent can offer you a 100% satisfaction guarantee and returns on investments. 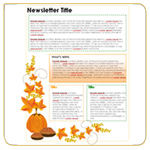 All our e-mail newsletter designs are appealing, very easy to read and gives your audience a positive first impression. All of our creations are designed to coordinate with your existing corporate identity and image and allow you to consistently communicate information and updates to your customers or employees. If you need a newsletter design service, drop an email with instructions, call in to our office or request a call back. 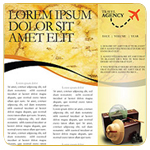 If you need assistance regarding html emailer design service mumbai, We are here to help.